LSQ will continuously engage with global thought-leaders across all life sciences areas and throughout each year will identify a number of these active, high calibre, well regarded and highly visible individuals and appoint them as LSQ Ambassadors. The appointment of an LSQ Ambassador will be seen as highly prestigious, and will signify to all that these are indeed global citizens whose efforts impact widely. Each of these honorary appointments will be for an initial period of three years and may be extended by mutual agreement. These Ambassadors will become defacto international representatives of the Queensland life sciences industry and may be called upon to represent LSQ at particular international forums. As a group, the LSQ Ambassadors will be seen as an international advisory committee to further steer and nurture the growth of the Queensland life sciences industry. 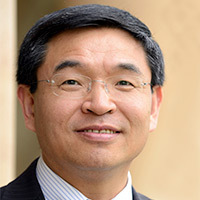 Professor Max Lu AO has been President and Vice-Chancellor of University of Surrey since April 2016. Previously he was Provost and Senior Vice-President at the University of Queensland, Australia. He has been appointed to the Boards of National Physical Laboratory, Universities UK, Leadership Council of the National Centre for Universities and Business and as Deputy Lieutenant of Surrey. He is also a patron of Transform Housing. Professor Lu lectured at Nanyang Technological University from 1991 to1994, and had held academic and leadership positions at the University of Queensland from 1994 to 2016, rising from senior lecturer to chair professor. He founded the Australian Research Council Centre of Excellence for Functional Nanomaterials and served as its inaugural director for 8 years. He was awarded the Australian Research Council (ARC) Federation Fellowship twice, respectively, in 2003 and 2008. As a Thomson Reuters double Highly Cited Researcher in both Materials Science and Chemistry, he has published over 500 journal papers on nanomaterials (h=107 and over 44,000 citations @Scopus). He is co-inventor of more than 20 granted international patents. He has been honoured with numerous awards including Orica Award, RK Murphy Medal, Le Fevre Prize, ExxonMobil Award, China International Science and Technology Award, Japan Chemical Society Lecture Award, Chemeca Medal, and P.V. Danckwerts Lecture. He was also recently honoured with a Medal of the Order of Australia (Officer in the General Division) for his distinguished service to education and international research in the field of materials chemistry and nanotechnology, to engineering, and to Australia-China relations. Professor Lu has served on many government committees and advisory boards including those under the Australian Prime Minister’s Science, Engineering and Innovation Council, ARC College of Experts, Australian Synchrotron, Stem Cells Australia. He is Fellow of IChemE, Royal Society of Chemistry, Australian Academy of Science, Australian Academy of Technological Sciences and Engineering, and World Academy of Science. Hall of Famer of Women in Technology and recipient of US Congressional Citation, Dr. Jaleh Daie is a versatile and strategic leader with a record of impactful contributions in private and public sectors. She has held leadership positions in business, academia and government. She has had the honor of serving the administrations of three Presidents and has been featured in major media (ABC, CBS, PBS, NY Times, SV Business Journal, SF Chronicle). A noted life scientist and expert in agriculture and food, Jaleh has extensive board and executive experience. She has global point of view and cultural acumen shown by her extensive international engagements through work in eight countries and numerous global speeches including the Biotech Distinguished Speaker Series in South Africa. Jaleh is currently managing partner at Aurora Equity and founding chair of AgFoodTech at the Band of Angels in Silicon Valley. Previously, she was head of science at Packard Foundation and managed a $120 million annual budget. 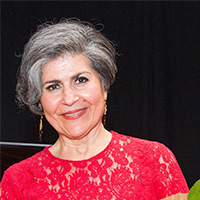 Jaleh started her career at Rutgers University and UW-Madison. Jaleh has served on numerous boards in the private and public arena. She has been recognized with Teksia Lifetime Achievement Award; honorary doctoral degree, Fellow of AAAS and AWIS and Scientist’s “Leaders of Science”. 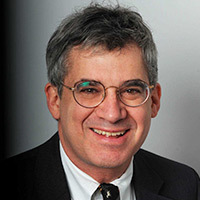 In the 1993-1994 academic year, he introduced an elective course for second-year MBAs. Over the past two decades, "Venture Capital and Private Equity" has consistently been one of the largest elective courses at Harvard Business School. (The course materials are collected in Venture Capital and Private Equity: A Casebook, now in its fifth edition, and the textbook Venture Capital, Private Equity, and the Financing of Entrepreneurship.) He also teaches a doctoral course on entrepreneurship and chairs the Owners-Presidents-Managers Program and executive courses on private equity. 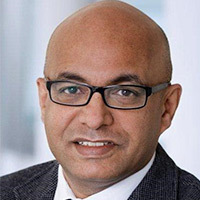 With over 15 years of leadership in R&D in Inflammation/autoimmune diseases/Cancer/diabetes and developing innovation strategies in international biotech/pharmaceutical companies, together with over 12 years of academic research in Immunology in prestigious research centres in the US, UK, and Australia, Anand continues to get excited about novel science and its potential for translation into medicine. His overall goal is to help convert 'meaningful scientific discoveries' into real innovation (new medicine) to change people's lives world-wide. The last six years at Novo Nordisk, together with experience in developing biotech companies in Denmark and Australia, have further provided him with a platform to fulfil this ambition. To view a list of LSQ’s other Ambassadors click here.